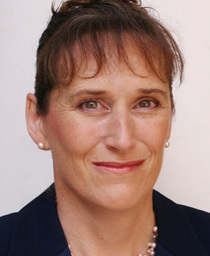 Philippa holds a degree in Biochemistry from Oxford University. She is an associate member of the Chartered Institute of Personnel and Development (CIPD) in the UK, and holds a licence for psychometric testing from the British Psychological Society. She has 20 years experience in organisation development and training management in an international context. Specialising in ‘the art and craft of performance enhancement’, Philippa offers expertise in strategic planning & goal setting, performance management, recruitment consultancy, executive coaching, teamwork across cultures, training needs analysis and design & delivery of learning solutions. Philippa started her career with ICI (Imperial Chemical Industries) as a member of the same central consultancy team as Steve Glowinkowski. She then moved to East Africa and has worked to apply the principles of the integrated framework, initially to the world of international relief and development and, for the past 7 years, extending into the East African commercial sector. Previous clients include Concern Worldwide, Water Aid, BCR (the Commercial Bank of Rwanda), Hima Cement (part of Lafarge Industries) and Barclays Bank.